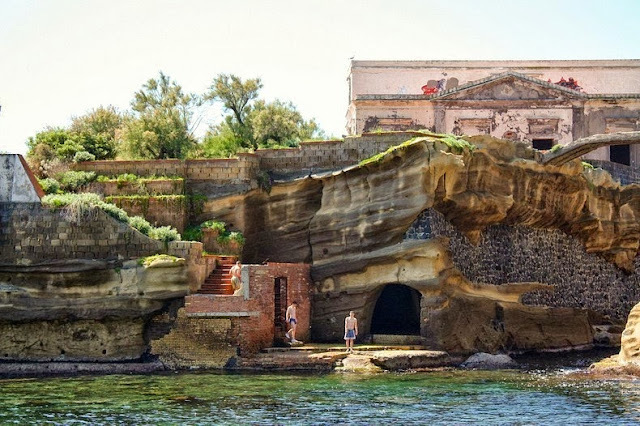 NAPLES, Italy - Gaiola is a tiny island off the coast of Posilipo, Naples. It is a beautiful private island surrounded by sparkling clear water and spectacular views that would make anyone’s heart go pitter pat. For the reclusive millionaires who have owned it, it probably seemed like the perfect place for a summer villa, the perfect place to play and indulge in their vices far from prying eyes. 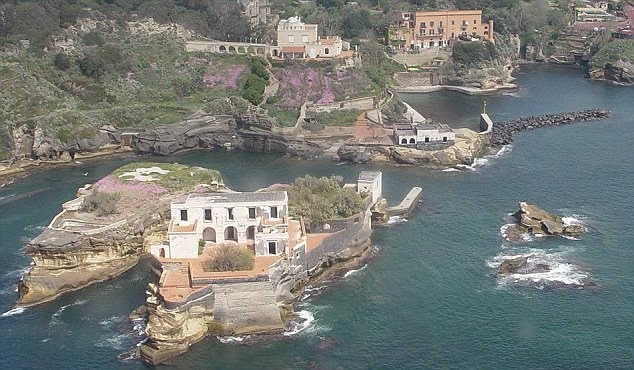 It is perfect, yes, yet this idyllic Mediterranean retreat remains abandoned. Its buildings are crumbling, and its sun kissed cobbled streets are in ruin. No one dares to live here anymore. The grim tales that have been told of suicide, murder, illness and financial ruin that have dogged previous owners prove that no one is safe here. Fear rules. Toward the end of the nineteenth century, in 1874 to be exact, Luigi de Negri purchased the island. It was de Negri who built the white villa that stands on the island today. He was a successful businessman but not long after he built the villa, his company unexpectedly went bankrupt. This once very rich man was suddenly very poor. In the spring of 1911, sea Captain Gaspar Albenga was piloting his boat around Gaiola, pondering the idea of buying the island. He never returned, and no trace of him, or his boat, has ever been found. Over the years, people have talked about the tragedies connected to the island, but it wasn’t until the 1920’s that the roll-call of doom really began. It started when owner Hans Braun was murdered. Not long after that his widow drowned in the sea not far the island. The next owner, Otto Grunback, suffered a fatal heart-attack while on vacation there, and the owner after Grunback committed suicide in a Swiss mental hospital. The next two island dwellers didn’t die but suffered other tragedies. The Baron Karl Paul Langheim ended in total financial ruin while Gianni Agnelli, the head of Fiat, lost his only son to suicide. Agnelli’s troubles continued when his nephew Umberto, whom he was grooming to take over Fiat, died from a rare form of cancer at the age of 33. Next in line for a Gaiola misfortune was the eccentric tycoon, John Paul Getty. In 1973 his 16 year old grandson, John Paul Getty III, was kidnapped by the ‘Ndrangheta, the Calabrian mafia. Getty refused to pay the ransom because he thought it was a hoax. When the kidnappers realized they were not being taken seriously, they sent Getty a lock of the boy’s hair along with one of his ears. Getty paid up. 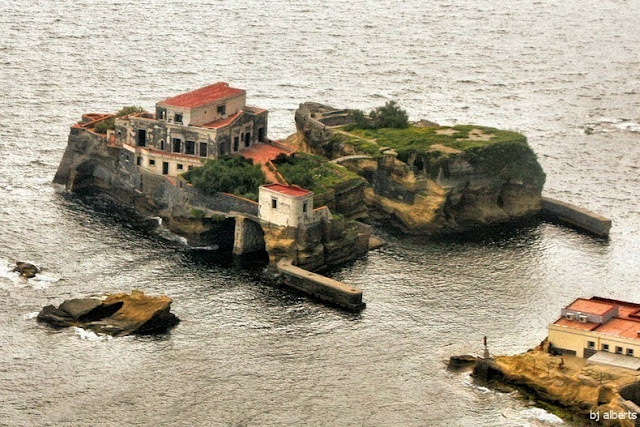 The last owner of the island was jailed on fraud charges when his insurance company suddenly closed its doors in 1978. All just coincidences you say? Maybe. But there is also this: Gaiola is full of ruins from the Roman era. Up until the nineteenth century a submerged Roman building, called the School of Virgil, was clearly visible in the waters near the island. It was generally believed that this was the place where Virgil taught the mystical arts. That may be why there has been so much interest in this part of the coast in the past. One theory is that the potions created here by Virgil and his pupils have permanently polluted the water, and that is the reason the curse affects those who linger here too long. Or, if we go back to 1820 when archaeologist William Bechi owned the property, we find that Bechi began several archaeological digs. The digs brought to light several Roman buildings that had been buried for centuries. 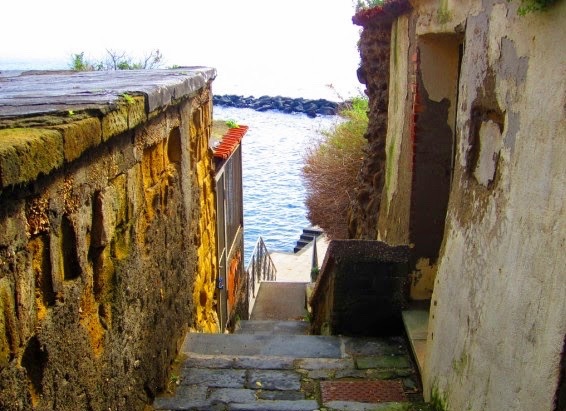 When Bechi died, his daughter sold the property to Luigi de Negri, the man who built the villa. After De Negri went bankrupt, the property was put up for auction and purchased by the Marquis del Tufo. There were two more owners after del Tufo, one being the British Admiral Nelson Foley, brother of Conan Doyle, the creator of Sherlock Holmes, and the second was the family of Italian Senator Guiseppe Paratore. In the mid 1960’s the Senator’s nephew made a startling discovery. While organizing a bookcase in the living room of the island’s villa, he found a square of canvas attached to the wall behind the books. Under the canvas there was a fresco depicting a large female head with snakes for hair, a Gorgon. According to Greek mythology, their power is so strong, they can turn anyone who looks at them into stone. The Senator, who understood the evil implications of the Gorgon, was frightened by the prospect of bringing bad luck to his family, and ordered his nephew to cover the face. His nephew did as he was asked but not before he had photographed it. He took the photographs of the Gorgon mask to a member of the Institute of Restoration in Rome, who dated it between the 2nd and 3rd century AD. The expert also confirmed that it was quite possible that the mask, popular in both Greek and Roman mythology as a protective deity, had been removed from it’s original location on the island, and affixed to the wall in the library of the villa. And just maybe, moving that protective Gorgon symbol by someone who didn’t understand its meaning or power is the root of all the evil that has plagued this beautiful place for centuries. Fascinating! 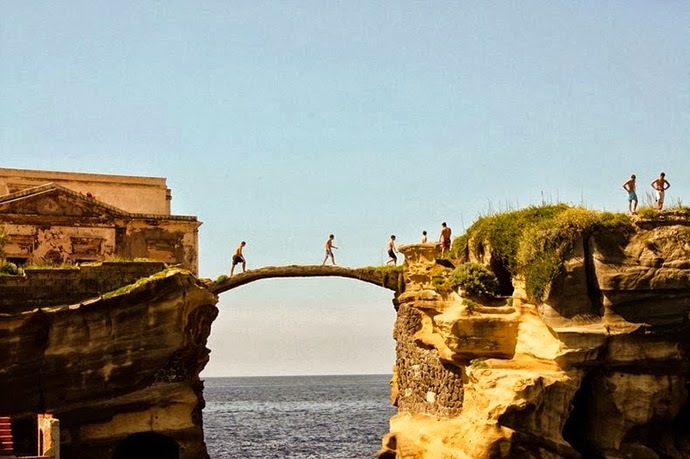 I would dare to live there, if I were rich enough to buy the place and fix up the villa. At any rate, it's beautiful; glad to know more about it. 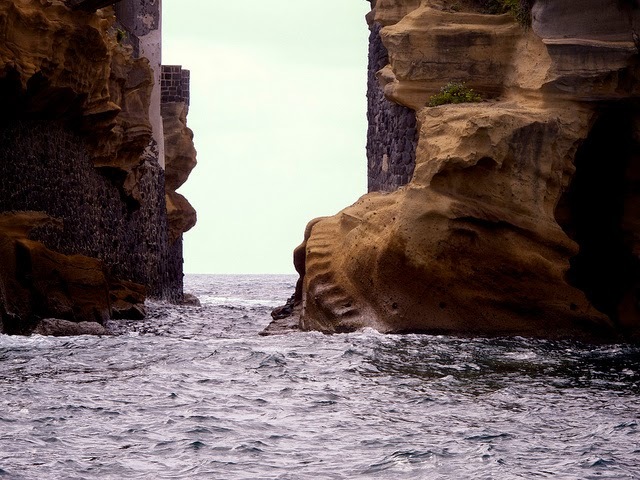 (Wish I'd known before Oct 2014 Italy tour which started in Sorrento; instead of a failed Blue Grotto visit [closed due to huge waves] we could have gone to Naples and seen this!) Thanks, Phyllis.